On another page you may find articles from Time and Life magazines. For reviews and what some famous people have written or said about Lehmann, go to: Praise and…. Also, you can read what her friend and traveling companion, Herman Schornstein wrote in his article “From Fan to Friend.” And Judy Sutcliffe wrote an extensive piece on the Lehmann Centennial at the Vienna Opera. One of Lehmann’s major biographers, Beaumont Glass, writes about meeting and working with her. Besides the late J.B. Steane, you’ll find below, Lehmann-related articles by Nigel Douglas, Neville Cardus, Michael Scott, Eleanor Steber, Bruce Herman, Dorothy Warenskjold, Sherman Zelinsky, Ron Murdock, Carleton Elliott, Jane Birkhead, Natalie Limonick, Rainer Lotz, Shirley Sproule and others. In opera Lotte Lehmann was not so much a singer who could act but, rather, a great protean actress who could sing with a voice richly engaging the ear and, by its range of colour and inflection, arresting to the sense of theatre and to the histrionic imagination. In the beginning was, for Lehmann, the word, the deed, the scene, the personal presence. 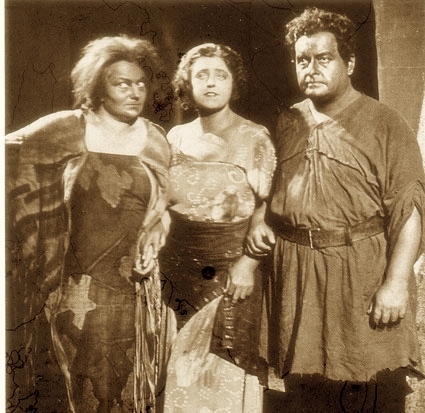 She was not an opera singer who, for various parts, disguised herself externally as Sieglinde, Leonore, the Marschallin and the rest; she identified herself with each part, became as though transfused, blood and mind, into the part. She was not just a ‘character’ actress, drawing a blank cheque on our preconceptions. Her range was wide; she personified Sophie, Oktavian and the Marschallin over the years in Der Rosenkavalier. She was Rosalinde in Die Fledermaus to the vivacious essence of Rosalinde; she was Leonore in Fidelio, living image of ‘das ewig Weibliche’. She ranged through the entire gamut of emotion. As she came on the darkened stage at the beginning of Act I of Die Walküre, and saw the exhausted Siegmund lying prone, and whispered: ‘Ein fremder Mann’, we could almost hear the heart of Sieglinde beating. She leaned forward, the whole woman of her expressing curiosity, apprehension and—also— an intuitive, prophetic sympathy, an unaware sister-love. I recall with vivid return of reality her marvelous moment when Sieglinde says: ‘Hush! Let me listen to thy voice. I heard it as a child’—(‘O, still! Lass mich der Stimme lauschen; mich dünkt, ihren Klang hört’ ich als Kind’). The voice of Lehmann passed almost into silence as she sang ‘hört’ ich als Kind’; we could feel her mind going back in time and listening within itself for long-forgotten tendernesses. Then Lehmann gave a quick gasp of ecstasy, and her ‘doch nein!’ caught at our heartstrings. she mingled a poignant sympathy with her conception of the woman’s discontent and sexual self-flagellation. 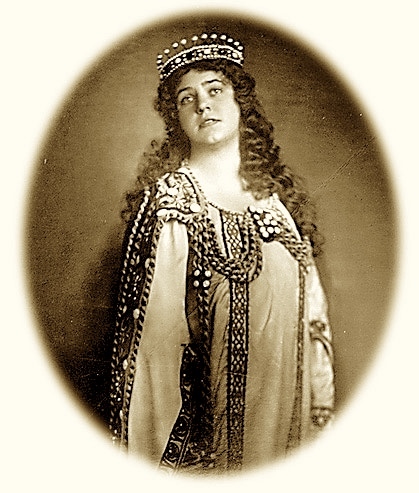 As the Marschallin she was all tight-lipped resignation as she pronounced the word ‘Vorbei!’ As the Marschallin, in Act I, she was a young girl again, laughing capriciously when the unexpected intruder is not the Feldmarschall, her husband, but merely a visitor. ‘Es ist ein Besuch!’ The waltz phrases in the music became incarnate in Lehmann; the whole woman of her danced. 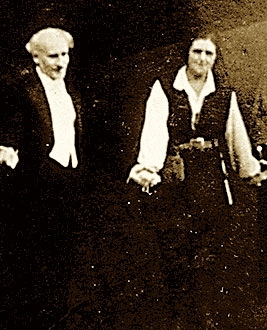 At a rehearsal of Fidelio Toscanini found himself transfixed by Lehmann, and he temporarily, for a split minute, forgot his sway over the orchestra, and everybody else. He actually relaxed his baton and cried out to Lehmann: ‘You are an artist!’ It was not Toscanini’s custom to bandy words and compliments with opera singers. Die einst mein Herz erzittern machte . . .
Dass dieser schien der einzig Eine . . .
und doch: ich weine Um einen toten Traum. which once made my heart tremble . . .
that he seemed to me the only one . . .
As a Lieder singer she did not consistently satisfy the purists. She enlarged the canvas. Her interpretation of ‘Erlkönig’ rendered as much homage to Goethe as to Schubert. Myself, I had the same embracing experiences at a Lehmann Lieder recital as at her opera reincarnations. In this book she bestows on us her harvestings—enriching, I think, not only to students of Lieder but to the oldest of music lovers. It is wise, wiser maybe than she knows. It teaches to the purist, insists on the individuality of the learner. But, more rewarding still, it is a book which reflects and sustains our impressions, our devotion to and admiration of, Lotte Lehmann. Anyhow, I speak for myself. 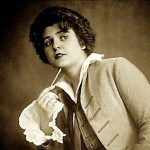 Of all the German sopranos of her day, LOTTE LEHMANN (1888 – 1976) was the greatest artist. There are few singers on records whose musical personality is so potent and in everything she sings there is an extraordinary communicative energy. 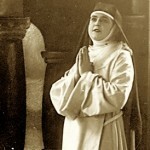 Her achievements were all the more remarkable in view of the tight German technique that she had acquired in her youth and which throughout her career she had to overcome so as to give full expression to her interpretative gifts. Her success was not, however, complete, and she never did realize the full extent of her artistic ambitions; her repertory remained narrow [ed. : but over 90 roles! ], increasingly so with the passage of time. As a girl at the Berlin High School she had taken some lessons from an older student and then won a scholarship to study at the studio of Etelka Gerster, an erstwhile rival of Patti and pupil of Marchesi, whose career, though short, had been exceptionally brilliant. 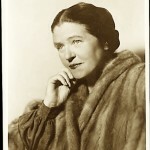 Lehmann was put in the charge of an assistant, Eva Rheingold. 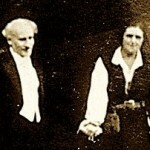 Theirs was not a happy relationship; the kind of pure, emasculated tone and instrumental clarity of execution that the Gerster school put before everything and which we can hear in so many recordings made by German singers in the early years of the century, completely inhibited Lehmann. After a time this became apparent to her teachers and she was expelled. Unfortunately, as is so often the way, though she left without having acquired much skill, she was there long enough to develop certain bad habits: the hard, glottal attack, tight emission in the upper range, and shallow breathing, which she was never able to correct. Thereafter her experience with teachers seems to have been chiefly a matter of experiment. 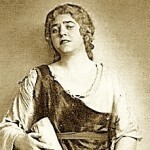 She went to Mathilde Mallinger, the first Eva in MEISTERSINGER, of whom probably the best that can be said is that she left Lehmann to follow her own instincts, Alma Schadow, the teacher of Elisabeth Schumann – not much of a reference – Hedwig Francillo-Kauffmann, Katharina Fleischer-Edel, Elise Elizza, and Felice Kaschowska, all of whom no doubt contributed something to her artistic development, but whose own methods, records suggest, were too various to have provided any really solid example. 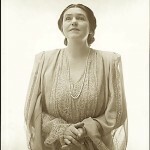 During the thirties, Lehmann was active as a concert singer, her programmes including works by Schubert, Schumann, Franz, Brahms, Wolf, Strauss, Pfitzner, Mahler, Reger, and Marx, and she even ventured into the French repertory with a few songs by Fauré, Duparc, Hahn, and Paladihe. With these, as Philip Miller has put it, ‘it was not so much what she sang that mattered, but the way she sang it; it was the personality of the singer that opened up the songs for her hearers.’ She appeared for the last time in opera at the Met as the Marschallin in 1945, and made her recital farewell in 1951. Thereafter she remained active as a teacher at Santa Barbara, where she lived in the later years of her life and ventured abroad on occasion, giving master classes at the Wigmore Hall in London in 1957. From Eleanor Steber: An Autobiography she recalls her “geliebte Lotte.” In 1943, during a time when she was singing Sophie with Lehmann’s Marshallin, Steber attended Lehmann’s annual Town Hall concert in New York. In her journal she wrote: “I am almost glad I had to wait until now to hear her in concert, for now my own experience makes it possible for me to at least glimpse her perfect gift. She is divine! 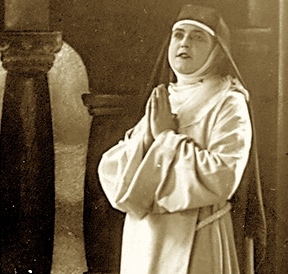 Had I only heard her earlier, perhaps I might have realized sooner that miracle which comes from such complete sublimation of ‘self’ to the ‘song.’ Lehmann was so completely absorbed and surrounded by the music and the poetry, I felt as if I were in a holy place. Steber in 1951 received a wire from a friend warning her that Lehmann’s upcoming Town Hall concert might be her last. Steber grabbed a plane and rushed home in the midst of a concert tour to gather with the crowd of friends and fans who packed the concert hall that day. She describes the beautiful concert and the heartbreak of the encore, An die Musik, in which Lehmann’s voice broke with emotion on the final phrase, leaving accompanist Paul Ulanowsky to finish the last line alone. It was an immensely moving moment, witnessed by a friend and colleague who appreciated Lehmann’s gift. 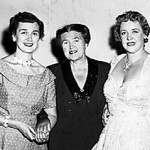 Ted Mignone: Memories of Lotte Lehmann Recitals at Town Hall – 1947 to 1951. In 1947 I was 16, quite new to opera and unaware of lieder. 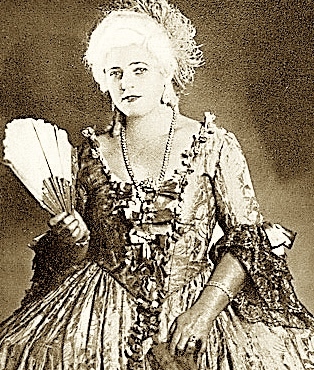 When a few of the regular Metropolitan Opera standees asked me to go to a Lotte Lehmann lieder recital I agreed without realizing what was in store for me. I will never forget the impact of the first time. The feeling in the house was different from the Met performances. It seemed that every one wanted to be there. There were many people who knew each other so there were many greetings exchanged form middle-age and older Germans, teachers and students, Met opera standees, single men and musical celebrities. The anticipation buzz was high. When Lehmann walked on stage the applause was not only wonderfully loud but sustained. I looked around at the smiling faces looking up at a dear friend. I myself thought that she was my favorite Aunt (a lovely warm woman). The smile was infectious but it’s the watery bright blue eyes which affected me most – all the way up from the rear balcony. Such a feeling of intimacy and friendliness. As she waited for Paul Ulanowsky to sit and arrange the music, she turned to the audience and smiled again – every one smiled back and laughed with her. By the time she began the first song I was her friend and she mine. I remember that impression not only because it was the first time I’d experienced something like this but also from my discussion of the event with my parents afterwards. When I told them that Lehmann ”sang to me,” my father said, ”Al Jolson had the same effect on an audience.” I understood that remark later in life when I saw some popular entertainers who were able to touch an audience in a personal way. Throughout the years I’ve seen many wonderful lieder recitals from Schwarzkopf to today’s Hilmar. They held your interest with Lehmann’s qualities of musicianship, tone of voice and communication of the text BUT none did it personally as if they were next to me singing it simply and to me. I know that this has been said by many people but I didn’t know that then and after 55 years I still feel the same way when I think of her and when I listen to her recordings. Ron Murdock: Mme Lehmann gave a two master class at Mount Allison University which is located in Sackville, New Brunswick, Canada. I’m not sure now just how they managed to persuade her to come. The University is an excellent one but, just the same, not exactly located in Montreal or Toronto! I do remember she was en route to Europe. The master classes took place in January or February of 1962 if I remember correctly. I sang Schumann’s Widmung. 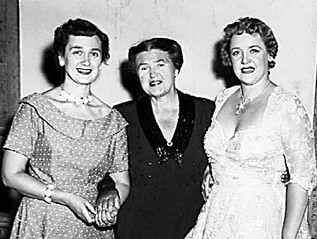 What is vivid, still, in my memory is how she coached a young soprano on the role of the Marschallin. It was spellbinding to see. Mme Lehmann was suffering from a heavy cold and had almost no voice because of it, yet when she demonstrated the intensity of the scene one quite forgot there was actually no voice coming out! Professor Carleton Elliott, now retired, spoke about the event as follows: “It was organized by a wealthy pianist from Montreal named Eallin Ballin who was a friend of Lehmann. Bob Tweedy made the travel arrangements and the singers came from many places, bringing their own pianists. Lehmann worked with the pianists as well as the singers. I remember one song in particular. It was Schubert’s Die Forelle and the singer was told not to be too emotional about the story, because it dealt only with a little fish. During the event Lehmann bid us remember the name of her then student, Grace Bumbry, who she said would make her mark.” Sadly the master class was not recorded. 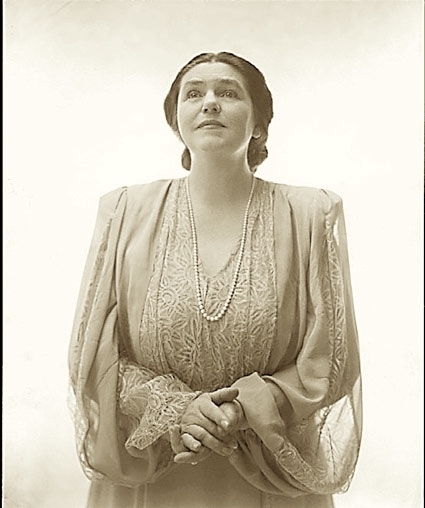 Jane Birkhead, From Syracuse New York: Having heard Lotte Lehmann sing, having had her as a friend, having coached Lieder and opera with her and her brother Fritz Lehmann for many years, [all this] taught me not only the art of singing but also the art of living. Natalie Limonick accompanied singers in master classes held by Lehmann at the Music Academy of the West, and was associated with that institution for decades. Former Professor of Music and General Director of Opera at the University of Southern California, Ms. Limonick was also Associate Director of Opera at the University of California at Los Angeles. She accompanied such art song specialists as Elly Ameling (when her regular Dutch pianist was unavailable), Carol Neblett, and Marni Nixon. 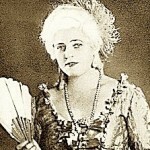 Active in the musical life of Los Angeles almost until her death, she had long held the position of President of the Opera Guild of Southern California. She writes: Before ever having met the great lady, I first heard her recordings in the opera and Lieder classes that I took with Dr. Jan Popper back in 1953 – 55 at UCLA. I fell completely in love with her total artistry, text involvement, beautiful vocal timbre and evenness of quality throughout her range. The emotional content was stirring and so deeply committed that one became a devotee for life. I remember a student asked Dr. Popper about Lehmann’s pronunciation of “ich” which had a distinct Berlin “ish” sound. He explained the reason and then added, “But never mind, don’t make an issue out of it.” Typical pun from his ever fertile and humor filled mind. 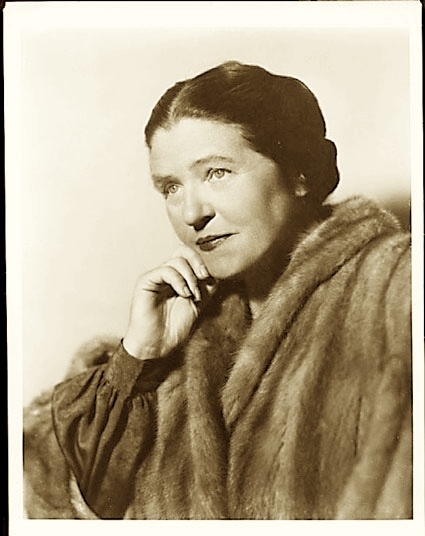 There followed a weekly drive from Los Angeles to Santa Barbara for the two hour Saturday afternoon Opera Master Classes to observe Mme Lehmann in the role of mentor to the young hopefuls. And since I was a neophyte in the repertoire, I just learned by observation, osmosis and inspiration. Lehmann’s world became an extension of the exciting art of music. After greeting the class (and audience) Lehmann would offer a deeply felt, translation of the text (all parts), discuss the situation at the specific moment of the scene and give a marvelously insightful characterization of each of the roles. Then the students performed. Some of the students were better equipped than others, but essentially they were more advanced singers, such as Grace Bumbry. By the way, in 1960 Grace was the “schwarze Venus” in Wieland Wagner’s Tannhäuser and I was there coincidentally as a scholarship winner to Friedelind Wagner’s “Meisterclasse” in Bayreuth. Another of those masterclass participants at the Music Academy was Lotfi Mansouri. He and I were fellow students in Dr. Popper’s opera history classes followed by the opera workshop. Lotfi also took part in Mme. Lehmann’s Lieder classes. I remember his performance of Ich grolle nicht. He was one of the few who was able to absorb her suggestions, but then do his own thing. My special opera class favorites were the scenes between Eva and Hans Sachs in Meistersinger and the Rosenkavalier “Presentation of the Rose” and last act final trio. After the student performance, Mme Lehmann would walk to the small stage and proceed to demonstrate each character (men included). I fell in love with her as Hans Sachs…. so warm, loving and understanding of Eva’s emotions. “He” communicated his feeling of protectiveness to me in the audience; it was stirring. Also, her awareness of the aesthetics of line, whether visual or aural – totally in synch with the whole picture. The way she held the rose as Octavian presented it to Sophie – elegance, line, the feeling Octavian was sensing as he extended it to the lovely, innocent young girl. I have carried that picture with me constantly. No matter what repertoire – Pélleas, Manon, Marriage of Figaro, Freischütz – all were given the same depth of expressiveness and credibility. It was magic. It wasn’t long before I alternated with the Friday afternoon Art Song Master Classes and the Saturday Opera Classes. A whole new world opened up. The same approach – translating in fluent (though accented) English the poetic texts. One hardly needed the song, so lyrical was her reading. Then the student would sing. Lehmann would often rise from her throne backed chair and offer suggestions. At this point in her life (retired from the stage) she would say, “I will demonstrate, I do not sing anymore, but if I do, it will be an octave lower.” And, “Don’t copy me, but let your imagination pick up cues from what I do, then do your own interpretation – but please feel it, mean it.” “No, no,” she would say, “you sing like soldiers on guard duty – sentries posted at different places – connect them – legato.” For some, her personality was so strong that they could only try to imitate. Others would come through with inspiring changes, freed from emotional restrictions. I played for the opera classes and during my first year working there, helped prepare Ariadne auf Naxos in a complete performance with Abravanel conducting the orchestra. The cast included many fine voices, some singers such as the Marni Nixon, Benita Valente and Norman Mittleman, who went on to important careers. Lehmann presented one of her artistic creations to each staff member. I still have the watercolor poster she gave me of two of the characters in the opera. The only negative memories I have from that time were Mme. Lehmann’s attempts to govern students’ personal lives, which seemed uncalled for. She would say things like “Don’t marry.” “Don’t have children.” etc. Also she was not able to conceal which singers were her pets, but…in light of all she offered, these are minor infractions of behavior which fade from the picture. She was a powerful personality. Young people are impressionable and tend towards idol worship. But all the good overshadows any of the negatives. After all, idols are human beings and it’s only natural for them to have feet of clay which tend to become exposed over time. I heard her sing three recitals in Montreal and one in Town Hall, NY. After her New York recital I walked with a friend to our hotel, not a word spoken. In my room all I could do was fall onto my bed and weep—a long time. In this way I try to explain why I felt I could never sing for her. My teacher in Montreal wanted me to apply to the Academy to study with her. I decided if I were accepted I would not, of course be singing, but listen as hard as I could to everything Mme. Lehmann would describe about poetry, etc. and I would write as many notes as I could. I would then go back to Saskatchewan where I was teaching and have so much more to offer students. It was decided that the faculty would choose “volunteer” students and give mini-master classes, allowing them to perform, and give little suggestions for an improved technique (piano) or communication, as with singers. The Recital Hall was jam-packed. Gyorgy Sandor presented a student; Sacha Jacobson had wonderful Irene Rabinowitch; Simon Kovar had, I believe, a clarinet student, Dr. Lert, a conducting student who was to conduct the orchestra, accompanying a singer (I was that singer) and Mme. 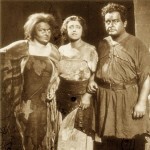 Lehmann prepared two singers, Marcella Reale and Joe Meyers. Reale sang Mimi’s first act aria leaning against the piano and arms outstretched from the body along the piano. She was very confident and had just sung performances of Mimi for a production of La Bohème with the Pacific Opera Company. She sang beautifully and everyone appreciated her ability. Lehmann’s commented, “You sing it so well, Marcella, but you present it a little bit as if your are singing at a piano in a cabaret bar.” That set off everyone including Marcella, who bent over laughing, too. I remember thinking “how could this wonderful, serious artist know about cabaret bars?”…I never did ask Mme. Lehmann about it. Next, Joe Meyers who had red hair, very white skin and a lovely, lyric tenor voice. Joe sang Heidenröslein by Schubert. Very securely he sang this delightful song with Mme. Lehmann interrupting gently with a few ideas and then asked him to sing the song through, incorporating the little adjustments. Joe did, and Mme. Lehmann said, “Joe, you sing quite delightfully, and especially so with your little rosebud mouth.” Well, the hall erupted. The laughter and delight over that small, innocent remark totally charmed everyone, and Joe laughed too. I had wonderful assignments that summer…Mme. Lehmann first gave me the Marschallin in Act III on the day I auditioned; then Mr. [Fritz] Zweig gave me L’Enfant Prodigue by Debussy. The next week Mme. Lehmann asked me to “look at” the first (big) scene Act I of Der Rosenkavalier…the Marschallin with the words, “It is a lot of work. You are doing Act III and the Debussy but—it would be nice if you could learn the monologue too.” Of course, if she asked me, I’d try! So, I did learn all of the Marschallin except the levée scene, that summer. 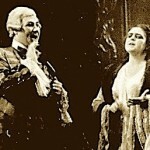 During the 1954 Academy season, among other opera scenes, I was assigned Octavian in Act I of Der Rosenkavalier. I had great qualms as how to walk like a boy and react to the Marschallin. But Mme. Lehmann, always generous and patient and so very good at explaining the reasons for ways of responding, made it an unforgettable experience for me. Mme. Lehmann could be very perceptive but did not always spill out a concern, even as impulsive as she could be. In the winter 1954 – 55 she called me and asked if I would drive her in to the Academy to hear a recital sung by Carl Zytowski. As we stood outside the Recital Hall looking over the program I somehow sensed she was looking at me. I asked “is there something I can get for you?” Very quietly she said “I just wonder if you have enough elbows of steel, Shirley,” so pensively. I knew what she meant, so replied “Well, I guess I’ll just have to see, Mme. Lehmann and if I find out I don’t I’ll just try and find some.” While I’m persistent, even dogged and dedicated about my application to my learning I have (had) no enjoyment with aggressive and argumentative dialog. As she said that, I thought, “Boy, she surely hits the nail on the head!” She certainly diagnosed me very accurately. Years later in Europe when I was in an audition situation and had to stand up for myself I wrote Mme. Lehmann of the event and really thought she’d be pleased I had taken some courage to speak out and had found a few “elbows of steel.” When she responded to the story there was not one word of my bravery and I grinned to myself over it. I still do. Mme. Lehmann had such sensitivity to what a person could feel when singing in class. I remember once when someone was singing something I knew and liked very much, I was being carried away with it. Mme. Lehmann did not interrupt the singer but there was a poignant silence after the song. Then, very gently and with pain in her voice she said, Oh, ____, You sing so well but I just can’t help you if you cannot open up more.” I’ll never forget how she looked as she said that. It hurt her to not only say that but that she couldn’t remedy the situation. In the summer of 1955 we experienced an unusual phenomenon: a singer talked back in no uncertain terms to Mme. Lehmann. The room froze. She had ripped through the Mozart song at a non-stop, furious pace and boom! She was done. There was a silence before Mme. Lehmann spoke and tried to suggest that some adjustment in the tempo might give the singer some advantage to show more clarification of the ideas. Answer? “I like it the way I did it.” Quite slowly and quietly, our teacher spoke. “You have a lovely voice and I believe you understand what the song has to say.” Walking a bit towards the singer…”If sometimes in moments of stress a tempo will move more than anticipated then the ideas of the phrases tumble after each other so quickly the listener cannot separate them clearly enough and the singer’s efforts will not be understood.” And very quietly she moved slightly toward the singer and looked up at her, directly looking into her face and with a little smile said, “Could you please try it again at just a little slower tempo?” Well, one would have had to have been the Sphinx incarnate not to respond and so, reluctantly and somewhat indifferently, the singer said she’d try. It was not a recreation of masterful interpretation but “An ‘A’ for effort” and one could feel the room relax and how we marveled at Mme. Lehmann’s patience. In the Fall of 1954 she assigned me the role of Chrysotemis in Electra by Strauss. Mr. Zweig had worked with me and he always gave such wonderful support. In mid-January Mme. Lehmann said we would start staging and Mr. Zweig would come to Santa Barbara and we’d work in the Recital Hall. Benita and I were living in the dear little cottage below the Academy now known as the Treasure House. Mme. Lehmann outlined for me the various directions to cover as I was singing the scene. I had always been comfortable with usage of breathing and I knew Mr. Zweig’s tempi and enjoyed the challenge of this hysterical role. We worked diligently but the constant drive vocally with the intense hysteria found me fighting for breath. Finally, I broke down and cried out “I can’t give any more sound and fight with this tempo. I know the music, but I can’t seem to ride it,” and burst into tears and tore out of the Recital Hall down the hill to our little cottage. Benita came quickly after me and I was already in the little kitchen, starting to bash pans and washing dishes. I really tore into washing those dishes! I was so upset, so disappointed in myself, feeling I had let down Mr. Zweig after all his work with me, and also fouling up Mme. Lehmann’s plans and hopes to present Electra. Benita couldn’t keep up drying the dishes as fast as I pushed them at her and gulping, trying to really stop the tears I heard Benita say “Oh, oh” and I looked at her without saying anything and she said “Look.” It turned out Mme. Lehmann was coming down the steps to our front door. Oh, how I wondered how on earth I could apologize. Benita said “Go, Shirl, I’ll finish here” so I went to the door hoping my face wasn’t too streaked. I just looked as I opened the door and Mme. Lehmann spoke so gently and said, “Shirley, we should talk.” It seemed the very open living room might not be private enough so I led her in my bedroom where there were two twin beds. She moved in between the beds and sat down on one and I sat on the other, facing her. I trusted her judgment so much I hoped I could find words for the whole situation. I had never run up against a fiasco quite like this. Her eyes searched mine and very quietly she asked, “Shirley, what can we do about this?” “I think I don’t have the right voice to ride the drive in the music. It think it needs a heavier, larger voice.” Warm silence. “Don’t think I can give more volume unless I push the voice somehow and I’ve never done that. I think I could hurt my voice…It is only fair to you that you use someone who does have a bigger voice, someone else will undoubtedly be more right for Chrysotemis.” There was a little time of silence, but somehow it was a remarkable silence and our dear so understanding Mme. Lehmann said, “I’m so glad you made that decision, Shirley, because if you hadn’t I would have. You do have only one voice and we don’t want anything to happen to it.” How can one not be grateful for such a teacher? One day driving her to LA, no conversation, then suddenly she spoke with such pain in her voice, “Oh, Shirley, I am so worried about _____.” (A student who was romantically involved with a married man.) “My husband left his wife for me and his children never forgave me.” And tears were flowing. I knew nothing about that and what can one say to help comfort? I just held the steering wheel with my left hand and reached over putting my right hand over her clasped hands and we drove quite a few miles that way. In addition to the four summers I studied with her, I had the joy to work with her in the Winters of 1954 – 55 and 1955 – 56. I am a good “sponge” and I was there to absorb as much as I could. One day she telephoned me, I believe in early Spring 1956. “Shirley, you have been working so hard and so long without a break, you need a little holiday. You should drive over and see Monument Valley. It is beautiful and unique. I’ll pay for your trip.” I was totally aghast. Here I was, having this wonderful opportunity to study with her and she wanted to pay me to take a holiday? There was no way I would or could accept that! But such a thoughtful, gracious, special person! 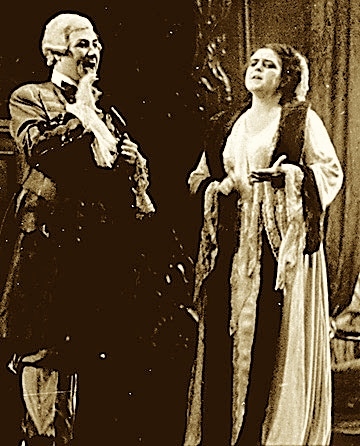 In 1953 Joe Meyers was scheduled to sing Der Erlkönig by Schubert. Mme. Lehmann had been encouraging us to try to be involved in a song and to communicate. The song progressed through the four first characterizations and Joe stolidly and cleanly sang without one iota of expression. Mme. Lehmann was sitting in an armchair and suddenly I saw her hands move to the arms and she was on her feet. “Now Joe, you asked to sing this song, and now you are doing nothing with it, with any of the four characters.” There was more, but I kept hearing “You asked to sing this Lied.” It would never have occurred to me to ask to sing a certain song. But in 1955 I found a song which appealed to me primarily for the poetry, though the melody was [only] palatable. I decided to ask if I might sing it in class. “Yes, of course Shirley.” I have here the title of the song; the composer was Robert Heger. I dug in and learned it and took it in to Mrs. [Gwendolyn] Koldofsky who could romp through anything with grace and panache. The accompaniment was rather busy; widely space arpeggios and scales and really quite florid. It didn’t particularly match up with the poetry. She looked at me and said “This is really not your usual type of song, Shirley.” I agreed, but said it had appealed to me. I confessed I’d asked to sing it and felt I shouldn’t back out. Came the class. I sang it with energy and my enjoyment of the text, but the piano was definitely not a compatible partner to the text. After I finished there was generous applause and then silence. Finally Mme. Lehmann said “Shirley, for the life of me I can’t figure out why you wanted to sing that song.” My reply was, “Well, Mme. Lehmann, I really liked the poem and wanted to sing it.” She asked “the poem?” and I said, “Yes, Mme. Lehmann, it was one of your poems.” Her eyes flew open and she spoke, “It was?? !” in total astonishment! Of course the audience and Shirley doubled up laughing. Her lovely poem had been so poorly used that she had not recognized her own words! In early 1955 we were driving back from LA; I recall she had gone down to hear auditions – students wishing and hoping to come to the Academy. Driving along she was very quiet and with my right hand keeping the rhythm going, I “sotto voce” sang my memorized Chrysotemis. Out of the blue, came from her, “Shirley, I wish you’d call me Lotte.” My right hand stopped every manner of music and I clamped the wheel. I couldn’t believe I heard such a thing. The resulting silence was laced with explanation points and questions! And she said “I didn’t mean you should stop practicing,” with her touch of apology, which floored me, but I wanted to laugh. How could I simply keep on with practicing when such a request/statement came to me. It took me four months. She never queried why I wasn’t [calling her Lotte]; she just let me work it through. Very near the end of the fourth month we were in discussion about something and I responded, “but Lotte, it could be…” and stopped flat out. She never once said, “Well, it took you a long time,” etc…but that smile was there and I sense she felt I had come to terms with a barrier. I never called her “Lotte” when with other students. If she had extended the privilege to others that was a different matter and their privilege. The singers who had the joy to study with “Lotte” have, in the deepest sense, the appreciation to nourish the unforgettable times, memories of communication and warmth, and cherish the imprint and input from this remarkable artist upon our lives. Edward Downes wrote: It is only artists of the stature of Lehmann who are able to supply that something new we demand simply by giving a great performance of a simple composition. And she does it, not by making poor defenseless Schubert stand on his head, nor by doing something startling and sensational with Brahms. 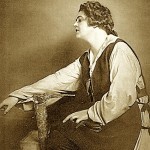 Renaldo Hahn (composer and newspaper critic) wrote: Let me be permitted, before finishing with the Viennese season, to render an exceptional homage to the great talent of Mme. 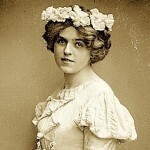 Lotte Lehmann. 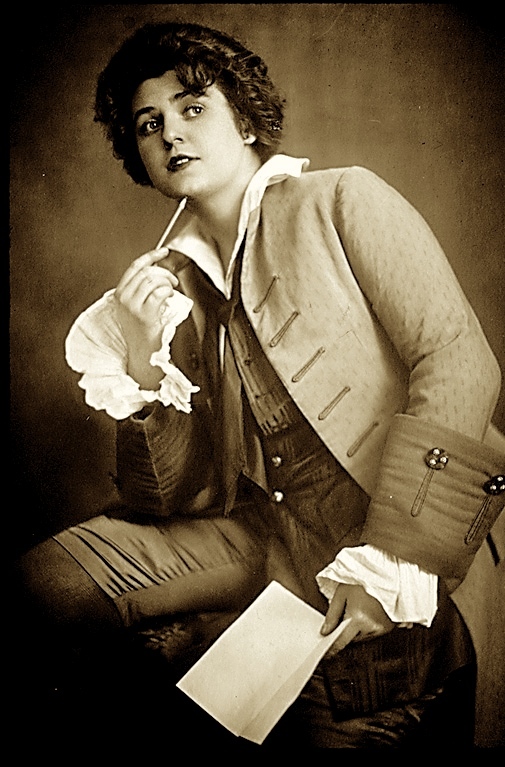 In roles offering the most absolute contrasts, first under the boyish cap of Fidelio, then under the powdered wig of the Marschallin von Werdenberg, calm, sad, stoically smiling, and at last under the cascading mane of Sieglinde, she has appeared to us as one of the most complete artists one has ever been able to see in the theatre. With a refined expertise [science], with admirable nobility and justness of expression, she molded, shaped, and adapted, to the most delicate nuances of feeling, the precious material of a voice rich in timbre, moving and pure. Her acting is worthy of her singing: clean, well-balanced [sobre], distinguished, without a gesture too much, and always in perfect harmony with the music. She understands when it is necessary to become carried away, ardent, and as if heedless of any risk. Mme. Lehmann offers to the astonished spectator an absolutely perfect combination of the musical and dramatic elements, and it is she who constitutes the most important revelation of the Vienna Opera. The following is from Jerome D. Bohm’s column, “Singers and Singing,” from The New York Herald-Tribune (mid-October 1942): Mme. Lehmann did not reach the Metropolitan until she was well past her prime. 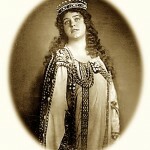 It was not until January of 1934 that the illustrious German soprano’s operatic gifts were first revealed to New York audiences, although Vienna and Berlin had long before recognized her extraordinary abilities.